So Veronese was brave enough, and arrogant enough, to refuse to obey an order given him by the very Inquisition. The painting in question, a Last Supper, was commissioned for the refectory of the Sts. John and Paul Dominican Monastery of Venice. It is now in the Gallerie dell’Accademia, Venice. “Which? And in what attitudes? “Have you painted other Last Suppers? This gives the inquisitor occasion to severely reprimand the painter: “How is it possible to confuse the Last Supper with the Marriage of Cana? Veronese knows he is a great painter but his arrogance before the Inquisition examiners is shocking. “A license we poets and madmen take”? The questions continue rapidly, each more and more pressing. “Who do you think was really present at the Last Supper? And here the Inquisitor lets show the real reasons the ecclesiastical authorities were disturbed. 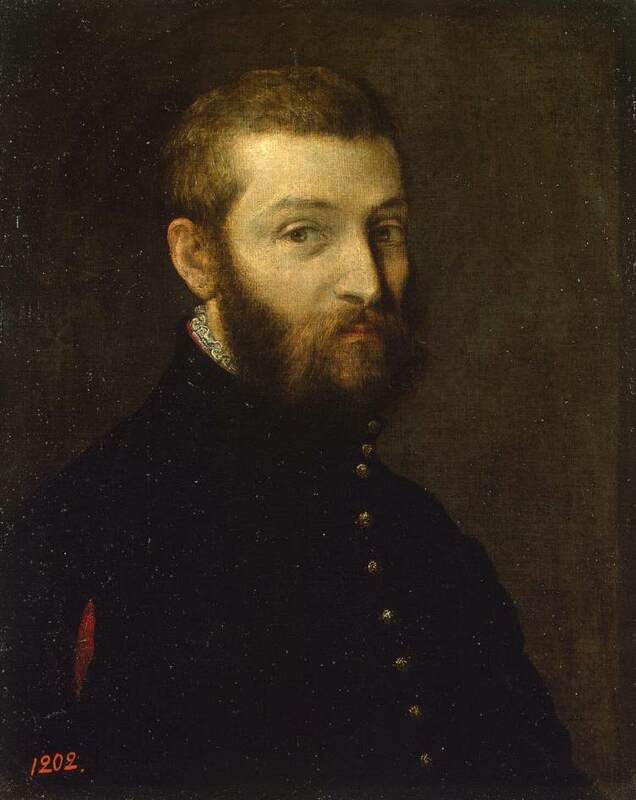 Under pressure, Veronese blows his defence. Michelangelo’s Last Judgment is a bad example and the “with little reverence” was silly. 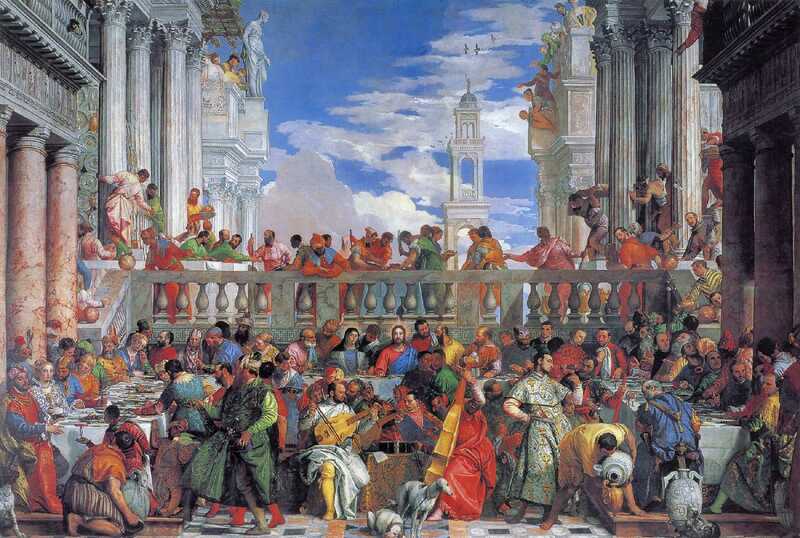 This was enough for the judges and they passed sentence, ordering Veronese to correct his painting. Since the words “Our Lord’s Last Supper” have been erased from the original manuscript, it is believed that some member of the tribunal, seeing the impossibility of correcting the painting as was ordered, suggested that it be interpreted as a banquet attended by Jesus for the consolation of sinners. 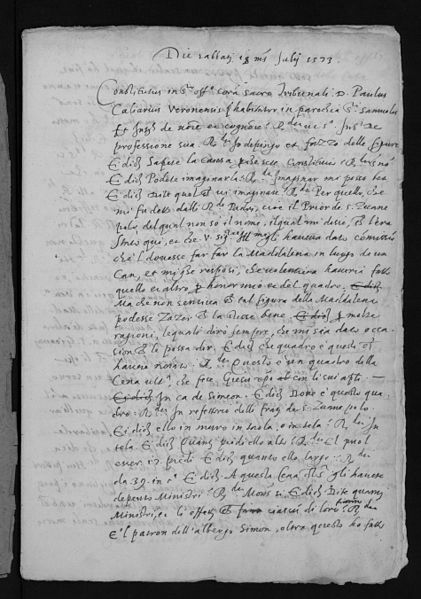 The document with the transcription of Veronese’s interrogation was discovered and published in 1867 by A. Baschet. My source is La obra pictórica completa de Paolo Caliari, el Veronés, Rizzoli Editore, Milan, 1968. Biographical notes, pp. 84—85, by Remigio Marini, included these excerpts from the original interrogation transcript. The translation into English is mine. This entry was posted in art, art history, great artists, Inquisition, Renaissance, Veronese, Wedding feast and tagged buffoons, Cana Marriage, Inquisition, Italy, Mary Magdalene, Paolo Caliari, Renaissance, The Last Supper, Venice, Veronese, Wedding at Cana. Bookmark the permalink. Very prescise and excellent presentation about Veronose’s trial. Reblogged this on Art 109 Renaissance to Modern.